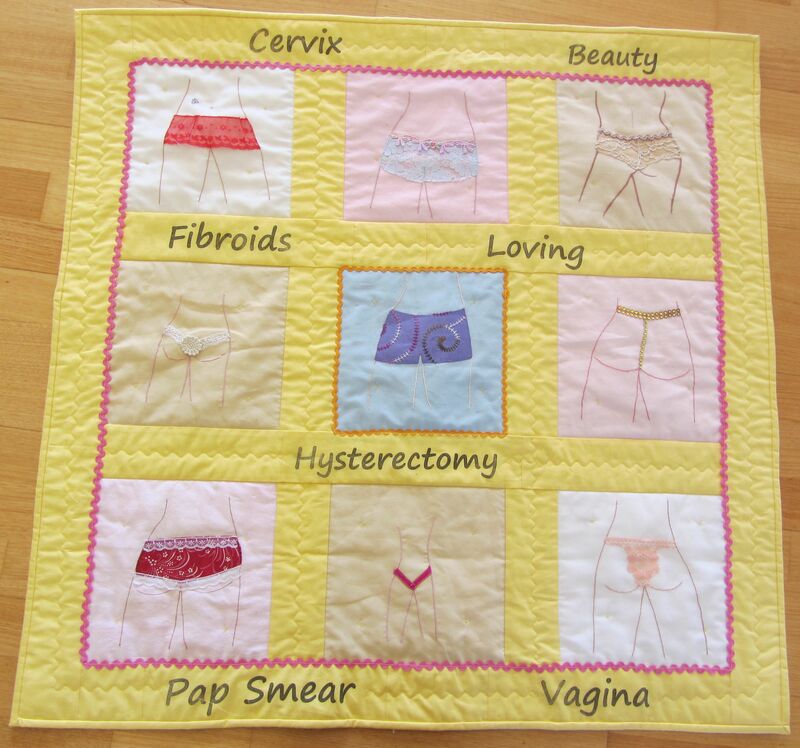 CQ Cathy handed over six wall hangings to Kath Mazella of Gyn Awareness last week, using the Knickers Blocks made by WAQA members. These were certainly fun to make! 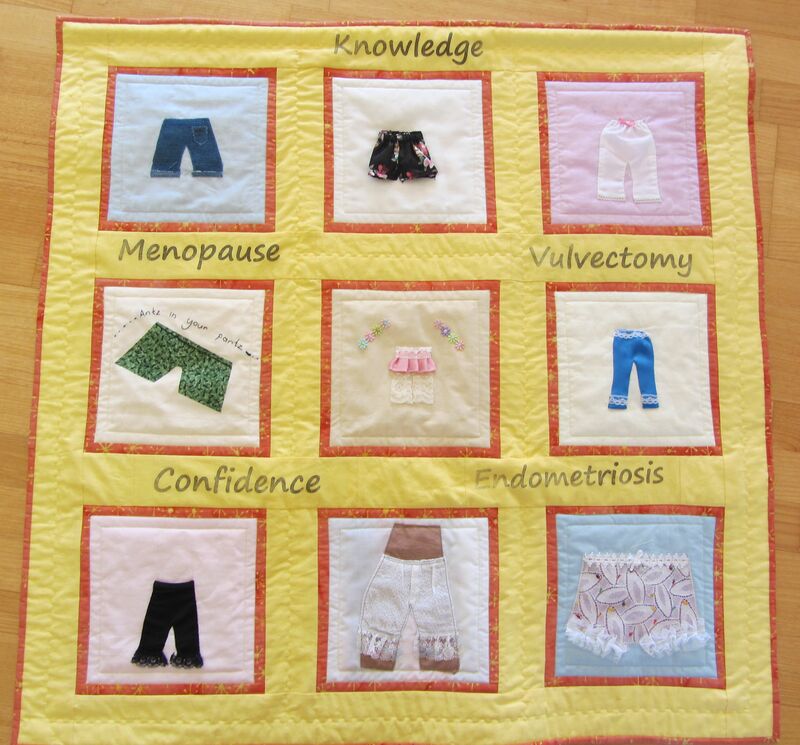 This entry was posted in Community Quilts. Bookmark the permalink.